This past Sunday I was a lucky duck. Maybe duck isn't exactly the right word since this post is about lamb. Lamb and wine. And the lovely people of American Lamb Board. 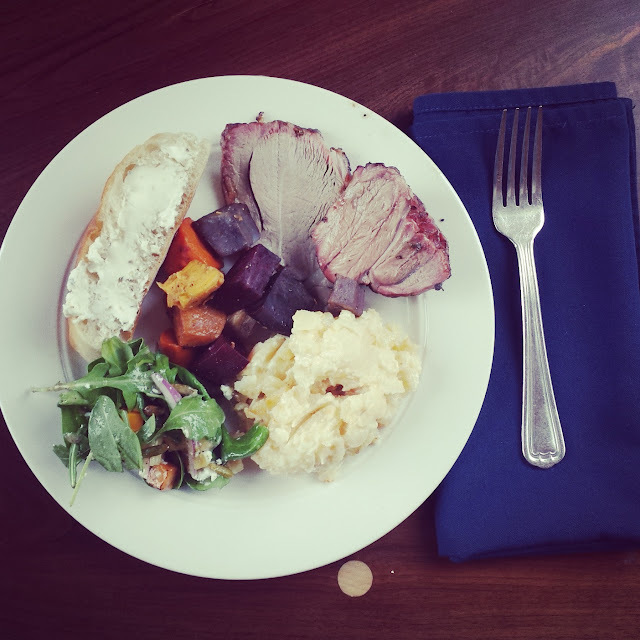 I've had a working relationship with the American Lamb Board for multiple years and have enjoyed participating in their lamb recipe competitions as well as judging the latest Lamb Jam in DC. 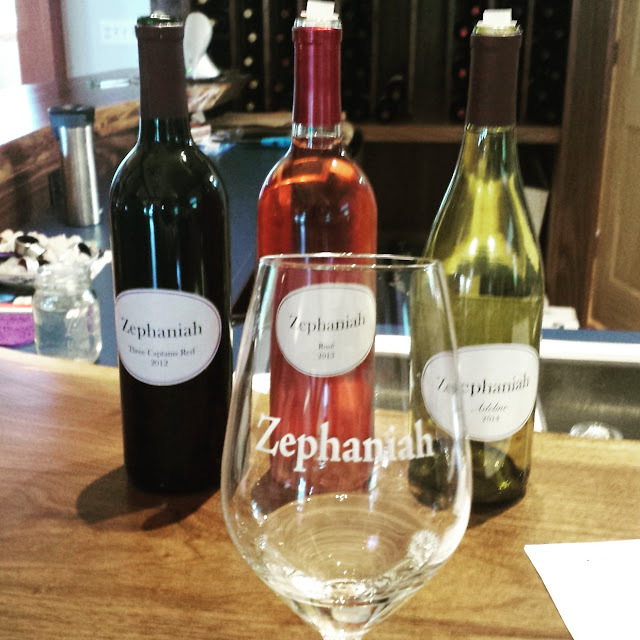 I was thrilled to be invited on a mini trip to visit Zephaniah Farm Vinery, learn about lamb butchery, and of course eat some lamb and drink some wine. The photograph above is of the original building where the wine tastings take place. Can I move in there? I love how romantic and dreamy and old the building looks. We did not get a chance to go inside because the wine tasting and lunch took place in the new modern building, which was gorgeous in its own way. 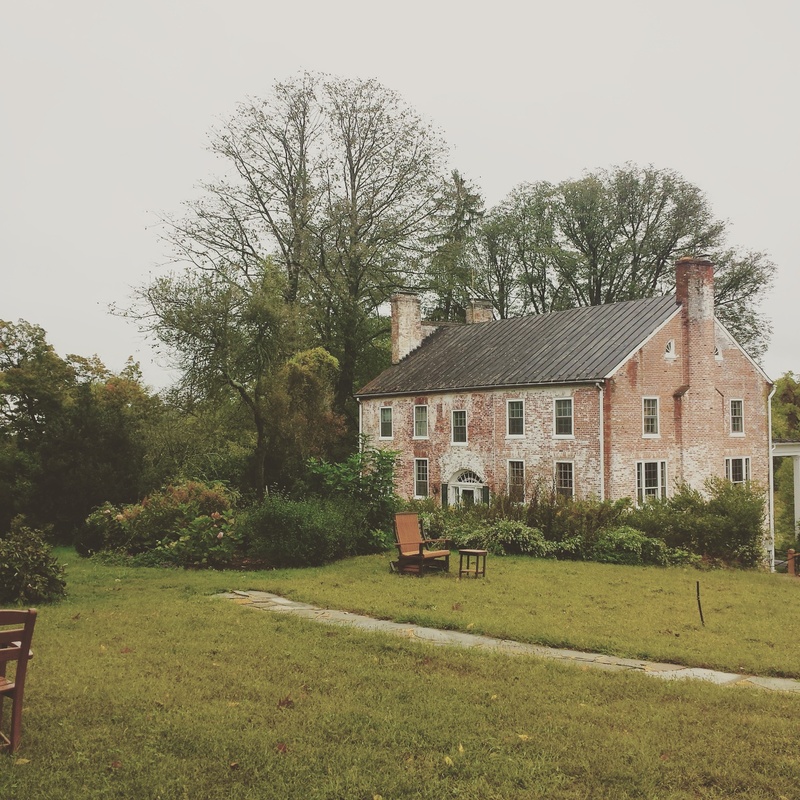 The Hatch family has farmed in Loudoun for 64 years and three generations. From these years on the farm, we have grown to understand the land. We work to honor the land we love and to preserve its productivity and integrity. What is significant about Zephaniah? Our family tends the grapes by hand. We are the ones who care for the vines and the grapes through every season. Harvest is accomplished by family and friends. They know the level of care we put into every part of the process. Our wine is truly hand crafted. 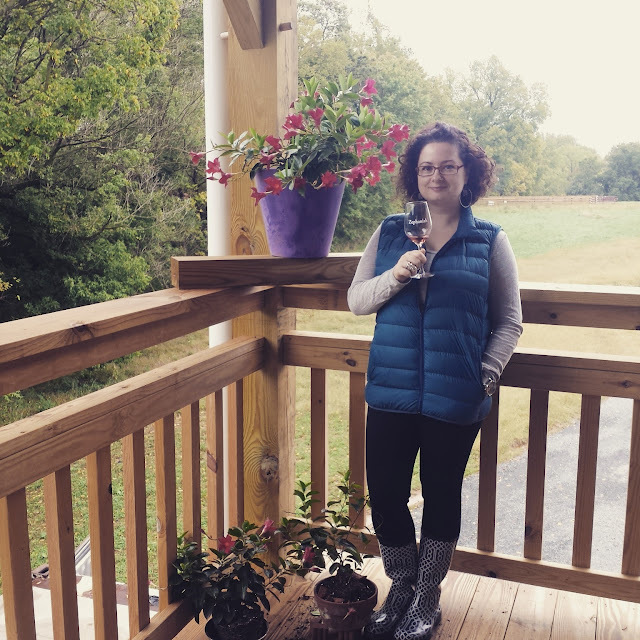 What goes with wine? Food! We feasted on roasted vegetables, freshly baked bread, one of the best potato au gratin I've had in years, and of course lamb from Mill Road Farm. I especially liked the lamb that was smoked. And just to be healthy, there was a great salad with butternut squash and pumpkin seeds. 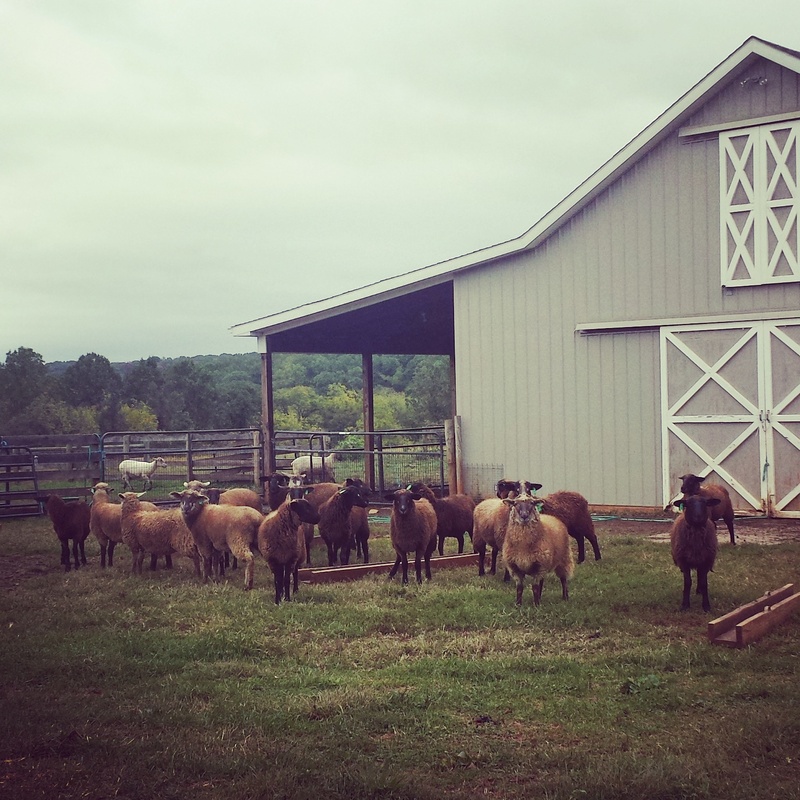 Mill Road Farm honors the land by producing pasture-fed Angus, lamb and honey. We sell our farm products at the Loudoun Farmers Market in Leesburg on Saturday mornings year round and at Cascades Farmers Market on Sunday mornings during the summer market season. I love that two brothers own and run this operation: Bill is in charge of the wine and Chris is in charge of the lamb! Then it was time for some serious work. Luckily, we weren't allowed to butcher a full lamb...I probably would have passed out. 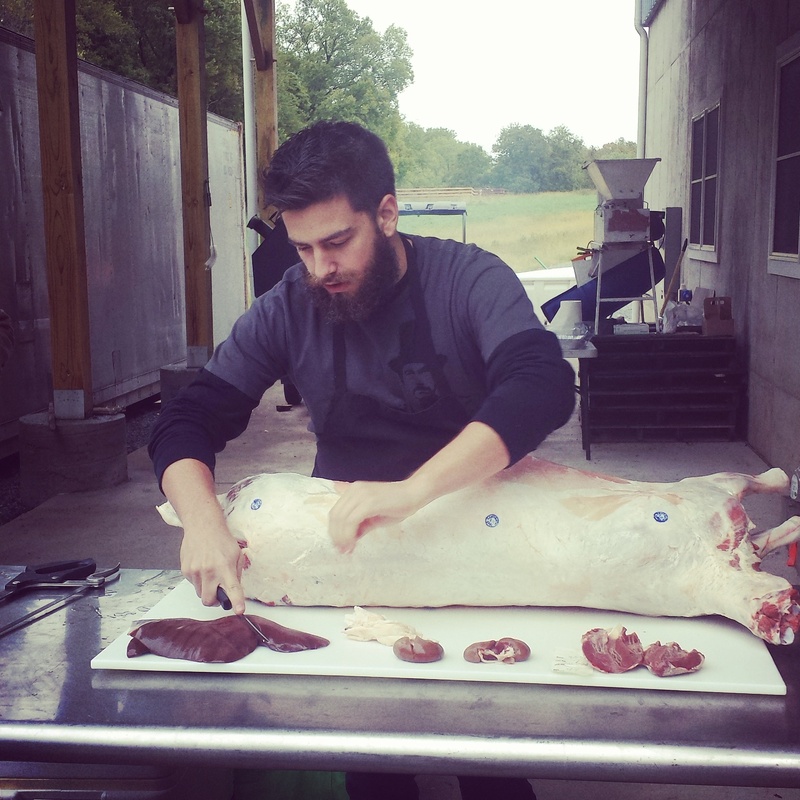 Instead, Matt Levere of Urban Butcher showed off his amazing skills. He made the whole task look as easy as cutting soft butter. Every piece of lamb gets weighed, used, and appreciated. We also got to see the sheep! 1. Salt and pepper a few lamb loin chops. 2. Heat olive oil in a skillet and sauté the chops a few minutes on each side. If you are like me, you'll want the chops to be plenty bloody in the middle. 3. Meanwhile, sauté thinly sliced mushrooms and radishes in a bit of olive oil till tender. Season with salt and pepper and add a few dashes of half & half. 4. 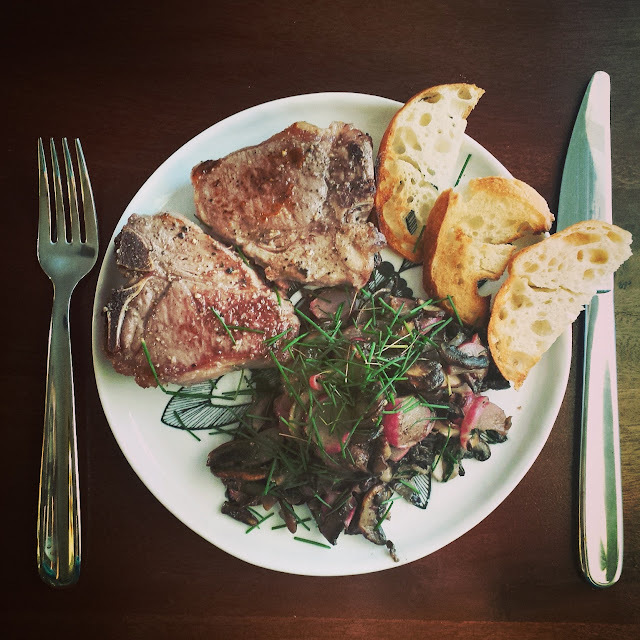 Serve the lamb loin chops with sautéed vegetables topped with chives and a few toasted slices of baguette. For more inspiration, check out some of the other lamb dishes I've made and consumed over the years. Disclosure: I was invited on this field trip, but am not compensated for this post. All opinions are my own.